In 'Gomorrah,' A Look At Italy's 'Ferocious Face' A crime network centered in Naples is responsible for an estimated 4,000 deaths in the last 30 years. The Italian film Gomorrah exposes the group's violence in a "despairing but also enlightening" manner. Toni Servillo is a Neapolitan mafioso in Gomorrah, an unflinching look at the Camorra crime syndicate and the havoc it causes in and around Naples. Note: These clips contain strong violent images and may not be suitable for all audiences. Ciro Petrone and Marco Macor play Ciro and Marco, two wannabe mob bosses whose aspirations set off a spiral of violence. 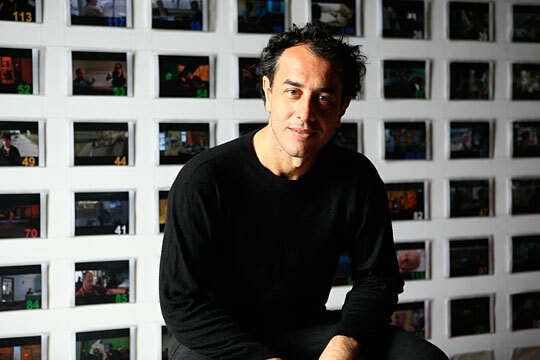 Director Matteo Garrone worked on location for nearly a year making Gomorrah. Gomorrah, an Italian film opening in New York and Los Angeles on Feb. 13, is the anti-gangster movie — there are no heroes, no anti-heroes. Its one homage to the mob genre is the opening scene, an updated version of the classic mafiosi-gathering-in-a- barbershop moment. In Gomorrah, it takes place in a tanning salon, where in the glow of an eerie blue light, tattooed men are getting manicures and topping up their tans — until suddenly, one of them pulls out a gun and wipes the rest of them out. Gomorrah is based on a best-selling book of investigative reporting by journalist Roberto Saviano, who co-wrote the movie screenplay. The title is both a reference to a state of lawlessness and a play on "Camorra," the name of the organized-crime syndicate that flourishes in and around Naples. The book, which has been translated into 42 languages, earned Saviano mafia death threats. He now lives under 24-hour police protection. And no wonder: Murder, as Saviano explains, is part of the everyday life of the Camorra. "Death is an absolutely ordinary daily occurrence," he explains. "A Camorrista kills before getting killed." Like the book, the movie describes an organized-crime operation that functions at the global level. Besides drug dealing and protection rackets, one of the Camorra's specialties is illegal disposal of toxic waste in the Neapolitan countryside. The Camorra's growing power has devastated the physical and moral landscape of the Naples region. It has perhaps Europe's highest rate of drug consumption. And thanks to the toxins dumped onto farmland, it also produces Italy's highest cancer rates. The Camorra is said to be responsible for 4,000 murders in the last 30 years. 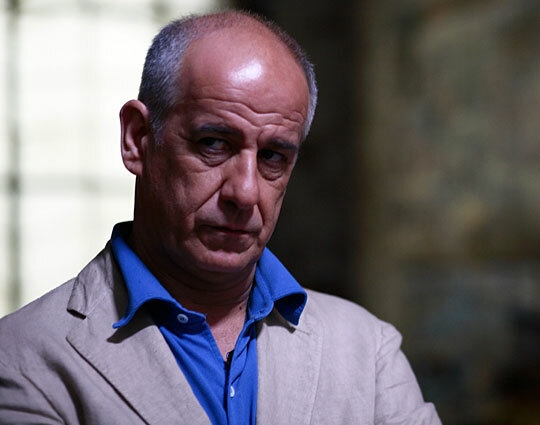 Director Matteo Garrone worked on location in and around the organization's home turf for nearly a year, and he compares the area to a jungle. "People fight for survival," Garrone says. "Most of the people ... are not aware of their condition — it is like an ecosystem, something that is closed. They don't know about something that is outside of that reality." Gomorrah won the grand prize at the Cannes Film Festival last year. American filmmaker Martin Scorsese describes it as "despairing, but also enlightening, and because of its frankness, strangely heartening." And film critic Irene Bignardi says it harks back to the heyday of Italian postwar cinema. "It is a kind of updated neorealism, made with people taken from the streets," Bignardi notes. "In a way we were living part of their own experience on the screen." Mingling professional actors and local nonprofessionals, Gomorrah is a cross between fiction and documentary, telling five interwoven stories of everyday criminality. 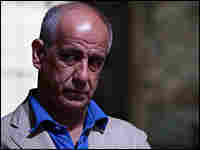 Don Ciro is a respectable-looking "bag man" who hands out payments to mafia hit men and pensioners. Teenaged Toto wants to be a mob foot soldier; his initiation requires that he be shot while wearing a bulletproof vest. Pasquale the master tailor earns a pittance producing the goods for an haute-couture fashion house. Marco and Ciro are two mob-boss wannabes who set off a spiral of violence. Perhaps the most chilling story revolves around Franco, who's involved in that toxic-waste business. When a group of immigrants realize the job is too risky, Franco recruits a gang of children to drive truckloads of dangerous substances into a landfill. Tony Servillo plays the smiling Franco, who, like a ringmaster, directs the young truck drivers as they descend into a modern version of Dante's circles of Hell. Saviano has no illusions about whether the book or the movie will help undermine the Camorra's grip on society. But he does hope it will have some impact on American moviegoers. "I hope this movie will finally show people the ferocious face of Italy, which is the face that really runs things," Saviano says. "I think many American moviegoers will be surprised."